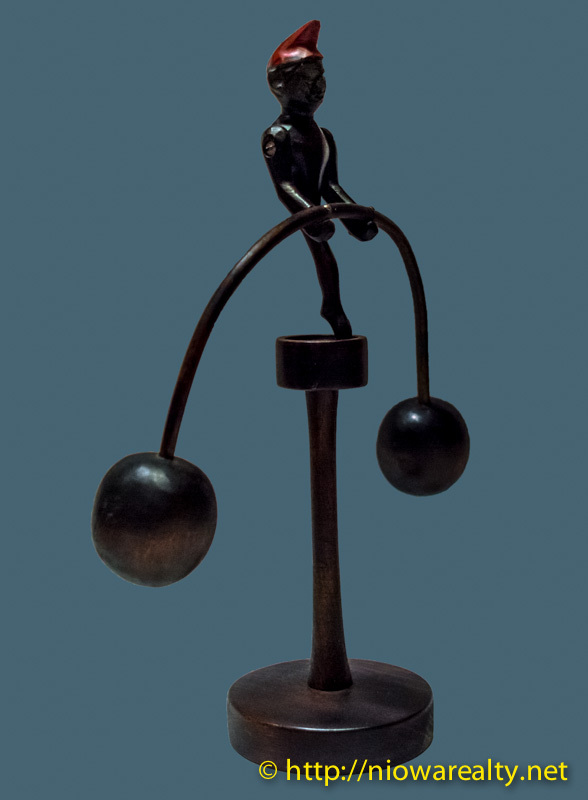 Share the post "The Act of Balancing"
One of my long term clients stopped by today to ask about a home that he noticed on the market. Our conversation was lengthy but good because we not only played catch up on each other’s lives but also had a great conversation about how so many people are becoming so passive with their free time. He spoke about his grandchildren’s activities as well as how they are so tuned into the games and visual stimuli surrounding them. Whenever he would tell stories about what he did when he was a child they consider them almost impossible. I know people change with the times but I think we all should be careful about the choices we make in our lives when surrounded by change. He is as well a gentleman with whom I can speak comfortably with because we have walked similar paths in our lives. We grew up on farms, worked extra jobs for money, kept our mouths shut during our personal storms of trials and tribulations, and above all, attempted to wish the best for everyone around us. I didn’t hesitate to tell him about the article on USA Today regarding Mason City being voted for the year 2013 into the top 30 cities in our country as being a place for business travelers. He was surprised as well as delighted. Before he left, I shared with him another personal project that I have been working on and I could tell he was near speechlessness. As he was walking out he said, “How do you ever find the time?” My response was, “Whenever I want to do something, I don’t find the time, I just make the time.” It’s all in the act of balancing our lives. I wish for everyone to learn to balance.